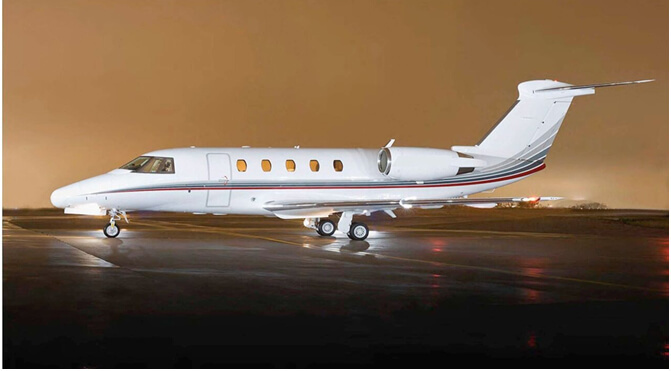 The Cessna Citation III and its derivatives is a mid-sized, high performance swept wing business jet, itself an outgrowth of the basic Cessna Citation. The Citation III, VI, and VII is a two-man crew aircraft requiring a pilot and copilot. PJT’s signature course “ the 5 Day Initial” covers all Citation 650 Series Training. Your first three days consist of classroom ground school including aircraft systems, weight & balance and performance. Daily systems intergration is conducted in our simulators and actual aircraft, where you experience a real “hands-on” preflight walkaround. Flight training is conducted in our Citation 650 company leased aircraft or your own and our new citation simulators. Each flight and or simulator session has a one hour pre briefing followed by a two hour lesson and a thirty minute de briefing. Each simulator session allows students/instructors to record and playback each session through the Insight program. Cygus is also available allowing iPAD use with Foreflight during your sessions. Our flight training curriculum is build on the ‘train to proficiency” model. Upon completion you will meet ATP standards and have logged actual flight time in the aircraft. PJT’s recurrent training course is designed for the clients’ needs and can be completed in one to three days. Refresher ground school ends with a written exam. Simulator sessions are customized to meet your individual needs. Finally, your 61.58 proficiency flight is completed in our actual aircraft or yours.